INDICATIONS: A round handle is a basic design for a walking cane. When choosing a cane remember that it must be fitted properly for your height and condition. Length: 36' Long. 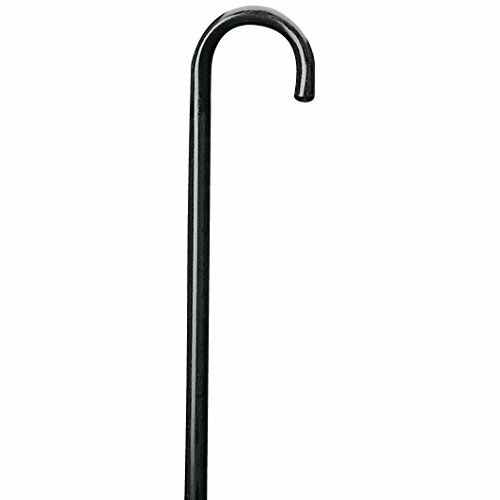 WALKING COMFORT: Carex's Round Handle Wood Cane provides the walking support you need to get around easily. The sturdy support of this stylish cane can provide support for up to 250 pounds, keeping you on your feet and active, increasing your mobility. LIGHTWEIGHT AND STURDY: Weighing less than a pound, the Carex Round Handle Wood Cane is easy to store and transport when not in use. 36" in length, it can be stored in a car's footwell or trunk, or hung in the closet when not needed for mobility support. DAPPER AND DELIGHTFUL: The classic design of Carex's Round Handle Wood Cane is sleek and stylish, providing support for your mobility as well as your fashion! Walk with confidence & support. No matter the occasion, this classic cane is always appropriate. TRUSTED SUPPORT: Compare the trusted support of Compass Health Brands home care products to products from Medline, RAD, Able Life, RMS, Health Concerns, Hugo Mobility, Full Life, WODFitters, Vive, Drive Medical, Fixation, Pure Science, or Orion Sports.